The entire CBC/Radio-Canada 2017 Programming Guide is available online. OTTAWA, Dec. 7, 2016 /CNW/ - With only 25 days until 2017, CBC/Radio-Canada announced today a line-up of special Canada 150 programs. The public broadcaster will be at the heart of Canada's anniversary year, sharing Canadian stories to celebrate the past, the present and the future, including the perspectives of the Indigenous Peoples of Canada, whose history extends far beyond these past 150 years. This multiplatform-programming offer will take all Canadians on a journey, while helping them discover a vision of Canada's future together. With today's announcement, the public broadcaster released an online CBC/Radio-Canada 2017 Programming Guide that outlines the extensive Canada 150 programming offer: documentaries, radio programs, kids programs, entertainment and arts specials, innovative digital and virtual reality initiatives, and ongoing news and current affairs coverage of the people, places and events in every region of the country that will shape Canada's milestone anniversary year. "The 150th anniversary celebrations are for us a unique opportunity to create and showcase highly emotional moments, to bring Canadians together around special signature events, and to enable conversations about our collective national identity, our diversity, and what binds us together," said Hubert T. Lacroix, President and CEO of CBC/Radio-Canada. 2017 programming kicks off on December 31st with CANADA'S NEW YEAR'S EVE – COUNTDOWN TO 2017, a nation-wide musical celebration hosted by Rick Mercer from Parliament Hill on CBC Television and online at CBC.CA/2017. The star-studded line-up of musical guests across the country includes: JUNO Award-winning and Grammy®-nominated multi-Platinum recording artist Carly Rae Jepsen, and chart-topping country star Brett Kissel on the main stage in Ottawa; singer-songwriter Scott Helman in Montreal; The Strumbellas from the celebrations in Halifax; The Bros. Landreth featuring Begonia from The Forks in Winnipeg; and alt-rock giants Wintersleep from the Vancouver celebrations. The special will also capture the excitement from a number of cities across the nation as Canadians ring in the country's historic anniversary year. From 7-9 p.m. ET, CBC News Network will kick-off New Year's Eve with live coverage of the official ceremonies from Parliament Hill, including a ceremonial re-lighting of the Centennial Flame, as well as fireworks and celebrations across the country with CANADA 2017 – NYE LIVE WITH HEATHER HISCOX. The public broadcaster's English and French services have come together to present a number of joint projects, including: WE ARE CANADA, a prime-time documentary series that celebrates the next generation of change-makers; TRAIN 150, a multiplatform series that offers a close-up, cross-country view of Canada; a special edition of the landmark series CANADA: A PEOPLE'S HISTORY; a special presentation of THE BEST OF THE GOVERNOR GENERAL'S PERFORMING ARTS GALA; WHAT'S YOUR STORY?/LA ROUTE DES 20, which recruits a diverse group of millennials to tell the contemporary story of Canada throughout 2017; WE ARE THE BEST, a series that shows off the extraordinary culinary richness of our country; and extensive national CANADA DAY 2017 coverage on CBC and Radio-Canada platforms. CBC highlights include: CANADA: THE STORY OF US, an epic ten-part television history series that tells the extraordinary story of the people, places and events that have shaped our country. With a combination of fact-based drama and stunning CGI animations, it is the stories of Indigenous peoples and immigrants; pioneers and rule breakers; and scientists and entrepreneurs who forged a nation in a vast and harsh land; BECOMING CANADIAN, a digital-first series that will focus on stories from the 250,000 new Canadians who take the Oath of Citizenship; and SHORT DOCS: INDIGENOUS, a collection of short digital documentaries by emerging Indigenous storytellers that will focus on Indigenous Canadians who are challenging the past to define their futures. All Radio-Canada's programming details, including the count-down to New Year's Eve coverage, is available online. 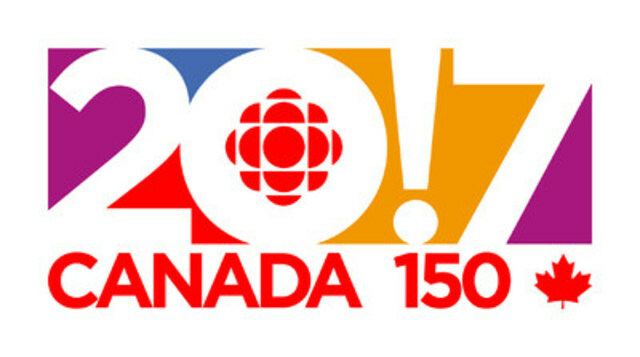 CBC/Radio-Canada's Canada 150 programs will be broadcast on all platforms throughout the year, with a number of major television specials airing in the spring, leading up to Canada Day on July 1st, 2017. Broadcast dates and times will be announced soon. CBC/Radio-Canada is proud to have CIBC as a partner in celebrating Canada's 150th anniversary, in the same year that CIBC is also turning 150. CBC/Radio-Canada is Canada's national public broadcaster and one of its largest cultural institutions. We are Canada's trusted source of news, information and Canadian entertainment. Deeply rooted in communities all across the country, CBC/Radio-Canada offers diverse content in English, French and eight Indigenous languages. We also provide international news and information from a uniquely Canadian perspective. In 2017, CBC/Radio-Canada will at the heart of the celebrations and conversations with special 2017-themed multiplatform programming and events across Canada.